Smartwatches have become more and more of a norm to wear, and with so many options on the market, it’s hard to know which is the best for you. We played around with six of the biggest smartwatches to tell you which is worth adding to your daily wardrobe. The new Fitbit Ionic smartwatch ($299.95) might look like a bulky smartwatch, but the device actually feels fairly light once it’s on, and the large screen makes for easy reading of notifications and activity progress throughout the day. The watch immediately starts tracking your daily steps, calorie burn, and heart rate as soon as you put it on and sends it all to an app. A tap on the screen will show you all your latest stats. The Ionic integrated with a few apps like Pandora and Starbucks, which you can use with a paid membership or gift cards, and includes a workout menu where you can easily swipe to the exercise you want. The Ionic will also allow you to control your phone’s music from whatever app it’s playing from, and will give you text notifications (but no email or other app notifications, which can be either a good or bad thing, depending on how comprehensive you want your smartwatch to be). Fitbit has also launched their own wireless headphones, the Fitbit Flyers, ($129) that connect to a phone, yet can be controlled by the watch. The benefit: If your phone is tucked into a backpack or hard-to-reach pocket–you can more readily control music through the combination of the watch and headphones. 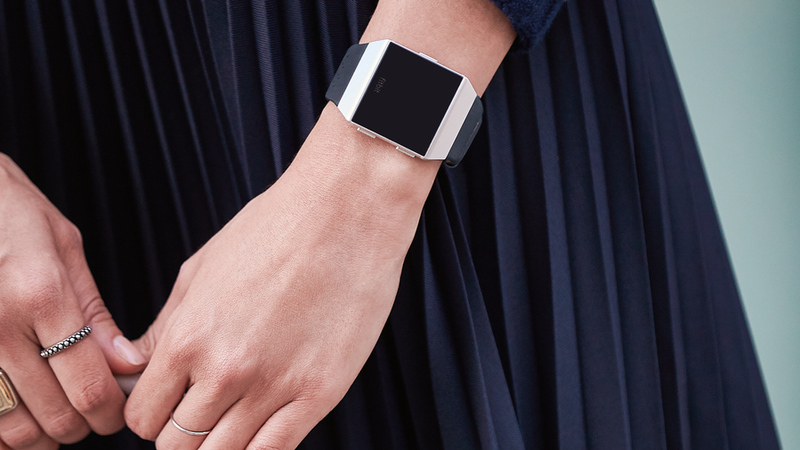 The Fitbit is among the easiest to use, and the battery lasts longer than most other smartwatches. If you’re looking to track health, control music, and wear something comfortable, the Ionic is a great choice. The Nokia Steel ($129.95) is minimalist and sleek. A modern watch face (available in black or white) boasts a simple second counter that discreetly shows your step progress throughout the day. The silicone band is comfortable and comes in a range of colors—and almost no one can tell it’s a smartwatch on your wrist. The Steel falls under the umbrella of Nokia Health, which has a single app called Health Mate that tracks data from the Steel and Nokia’s Body smart scale (from $59.95). If you have both the Body and the Steel, the app can track your weight alongside your workout data. The app doesn’t prompt you with workout goals based on your weight data of the day, but it does paint a comprehensive picture of your overall health. If you’re in the market for an affordable, modern watch and are interested in tracking your steps without getting notifications or needing a second screen to track your data, the Nokia Steel makes for a perfect choice. 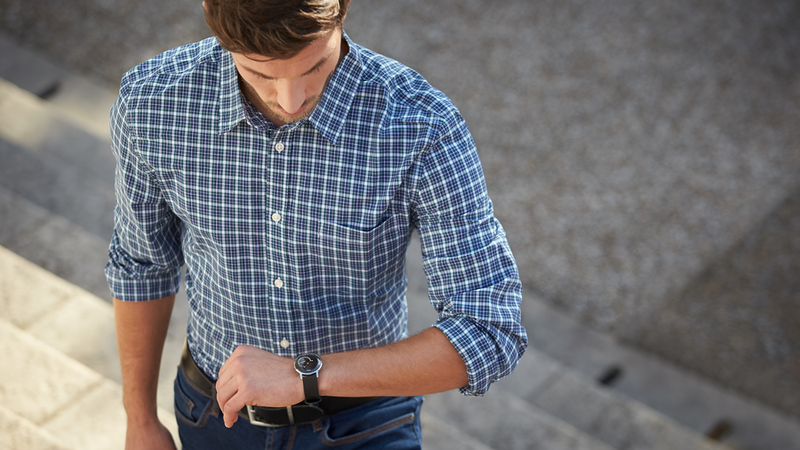 There’s almost nothing the Apple Watch (from $249) can’t do. It tracks steps, calories burned, and standing time; it offers a variety of workouts; it pushes notifications; stores 2GB of music; it has a huge range of accessories to personalize the watch to your liking; and much more. The Apple Watch is a great piece for those who want notifications without always having their phone out in a meeting since the Apple Watch will bump every notification from your phone to the watch. (Keep in mind that while out of the box it’ll tap you for each thing you get on your phone, you can customize settings to decrease the amount of notifications you get on the watch.) It’s also an easy complement to those with a smart home—depending on the products you have there. If you’ve set up your home to be controlled through the Apple Home app and have an Apple TV, you’ll be able to control your entire smart home setup in the Watch’s Home app, no matter where you are. Without an Apple TV, you’d need to be within Bluetooth range of your devices. If you have solo devices, some of those apps have versions on the Apple Watch so you could still control them without an entire Homekit setup. Philips Hue, for example, has an Apple Watch app to control its lights. Nest, on the other hand, will share an image of the motion its camera detects when notifications pop up. 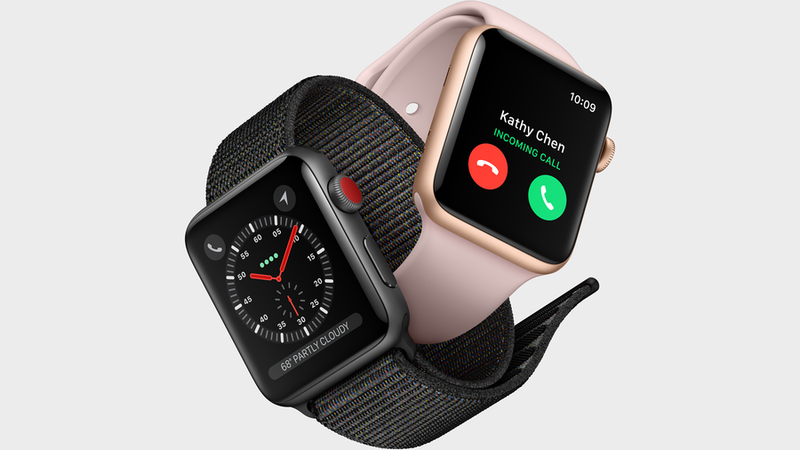 Ultimately, Apple Watch is a strong choice for anyone who values staying connected—especially since the latest model, Apple Watch Series 3, will have built-in cellular so you can make calls and send texts without having your phone nearby. Fossil has two different smartwatch lines, a typical smartwatch line and a hybrid line that hides tracking tech in a regular-appearing watch. Both styles have a beautiful look or anyone who’s worried about wrist candy. 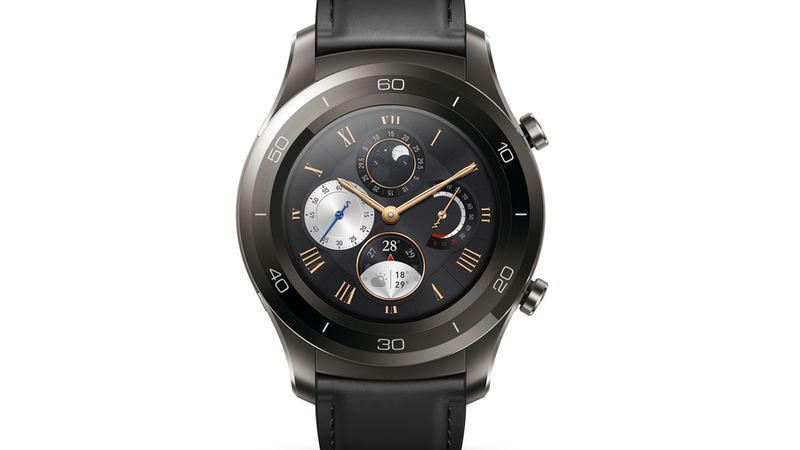 Their standard smartwatches, such as the Fossil Q Venture (from $255), have a stylish look with leather straps, a round, metallic body, and a sleek black screen. The body is bigger and heavier than expected, but it's still one of the best looking smartwatches out there. The watch responds quickly, lighting up when the wrist is raised and rotated towards the eyes. What’s more, Android Wear experience can be controlled through the watch’s Android Wear app (which pairs best with an Android phone, but works with iOS too). The push notifications are easily read on the bottom half of the screen. 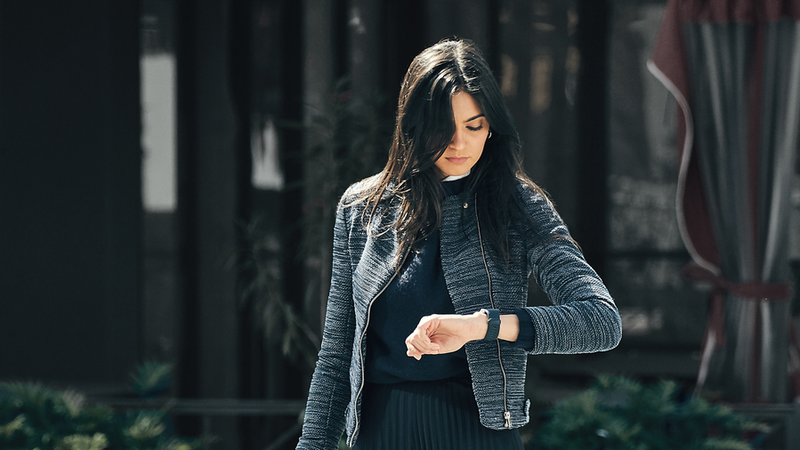 Fossil’s hybrid smartwatches, such as the Fossil Q Accomplice (from $155), have a similar body with leather straps and circular, metallic frame, but the watch face itself appears more like a traditional watch. The hands and numbers around the face have a translucent detail that glows in the dark. The watch also pairs with the Fossil Q app, and allows you to track steps, sleep, and even customize the side buttons for special controls. Those special controls allow you to click the watch to control the paired phone’s music volume, activity status, take a photo, or even ring the paired phone. These features amount to a nice combination between smarts and style. The Huawei smartwatches (from $249) is another Android Wear player, but it comes with a much more classic look. 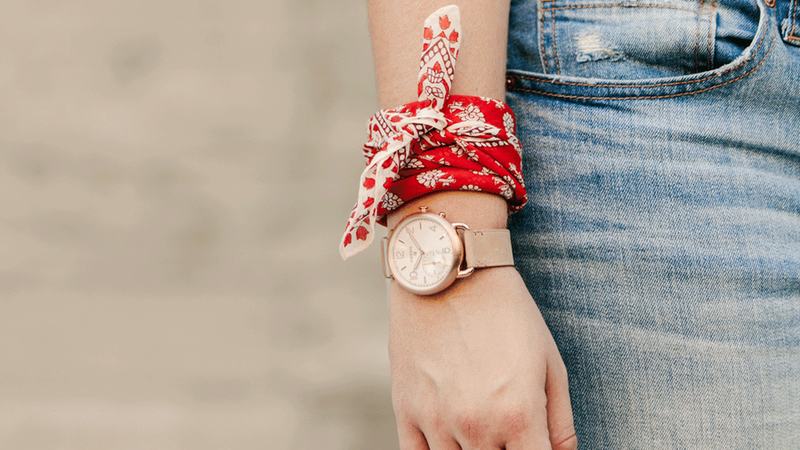 The watch is large, but feels lighter than it looks and it's available in the standard, sporty, or sleeker “Classic” version so you can get the look and feel you want. Similar to the Fossil smartwatches, everything is set up within the Android Wear app. The app pushes text messages and other notifications from your phone, and while it works with iOS it’s again better to pair with an Android phone. The design is sleek and sturdy, and has a rather large body. Those will smaller wrists might find it a bit too large, but the style is a good fit for professional settings. The watch tracks steps, can control music, and integrates with Google Assistant. You want the tracking smarts and notifications, but aren’t interested in another screen to stare at? Grab a Ringly Luxe Smart Bracelet ($165). It looks like a glam statement piece and comes in a variety of stone and metal colors, but it secretly can track your steps and push notifications using a combination of vibrations and lights. 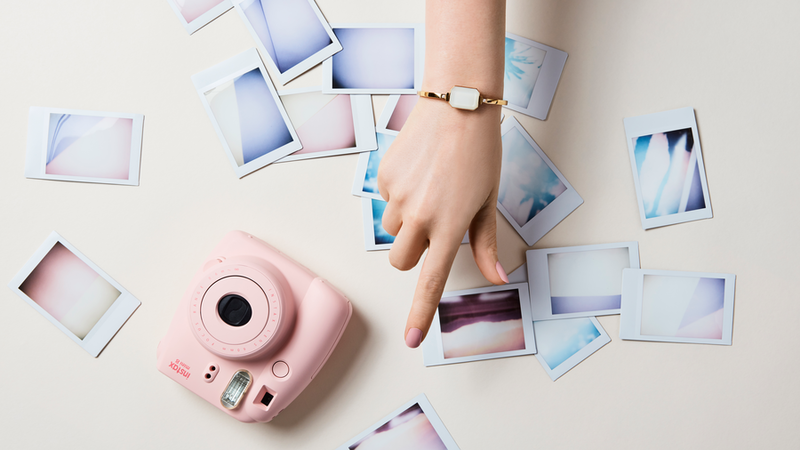 The Ringly has a small light on the side that has five different color options; you can customize the color and vibration settings for different apps. That way, you can keep your phone away and just get notified about the things that matter most, whether it’s your Uber arriving or your Nest Cam spotting someone on the premises at home. The vibrations are pretty light, so you’ll have to pay attention to notice them. But the chief benefit of Ringly is that it keeps you fully connected while looking nothing like a smartwatch.